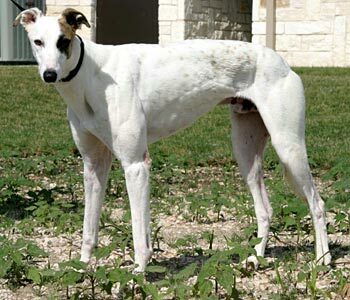 Storm, aka Wg Eyeofthestorm, is a 2-year-old white and brindle male born May 10, 2006. His sire is Fortified Power and his dam is Fire Next Time. 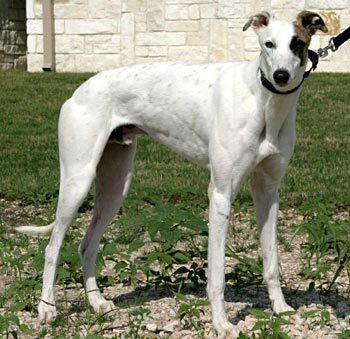 Storm's racing career consisted of 8 races at Corpus Christi beginning on November 24, 2007 and ending on December 29, 2007. 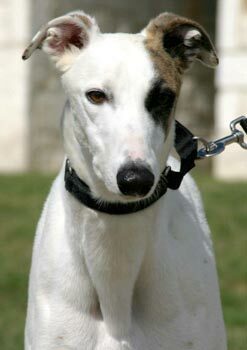 Storm is a uniquely handsome guy with just a small brindle patch across his left ear and very small black patch over his left eye. He looks like a pirate. 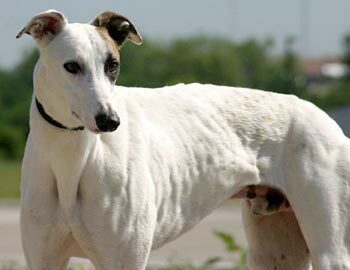 Storm gave up on a racing career and decided to use his good looks and his great personality to find himself a forever home. It is not known at this time if Storm is small animal or cat tolerant.